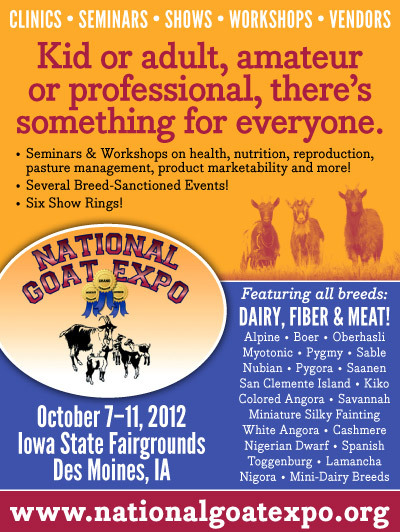 October 7-11, 2012 at the Iowa State Fairgrounds in Des Moines Iowa. 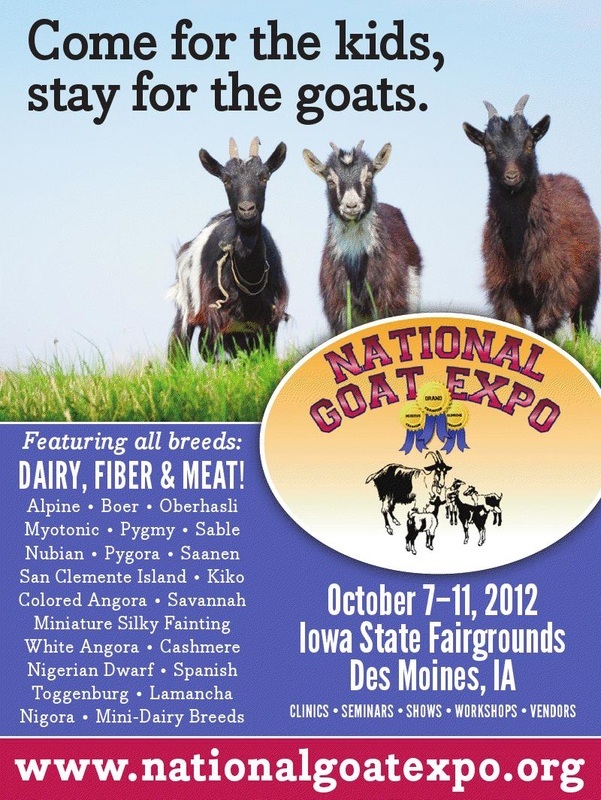 IT WAS A SUCCESS thank you to everyone that supported the First ever NGE!! 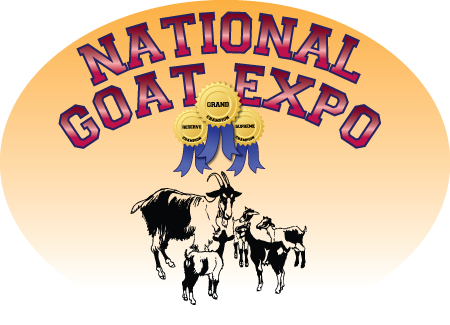 As President/Founder/Owner of the First ever National Goat Expo, I am happy to say it is turing out to be one amazing event. WIth the help of some great people and the patience of family and friends for my stress through these tough times of being swamped and crazy, I want to say THANK YOU!! 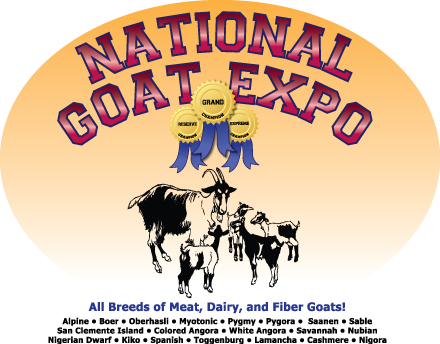 I do hope that all of you both friends, clients, and family will join me and all goat breeders that week in attending this huge event!! All Press Releases and updates are below.